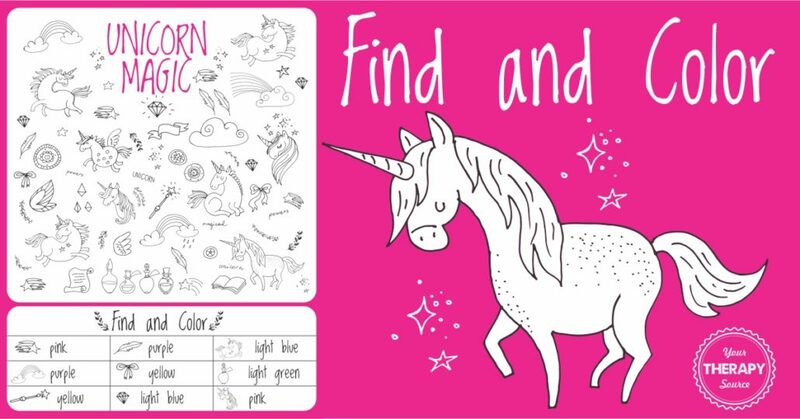 This unicorn find and color activity is a freebie from the Unicorn Sensory Motor Packet. Children can practice visual discrimination skills, visual scanning and visual motor skills with this printable. 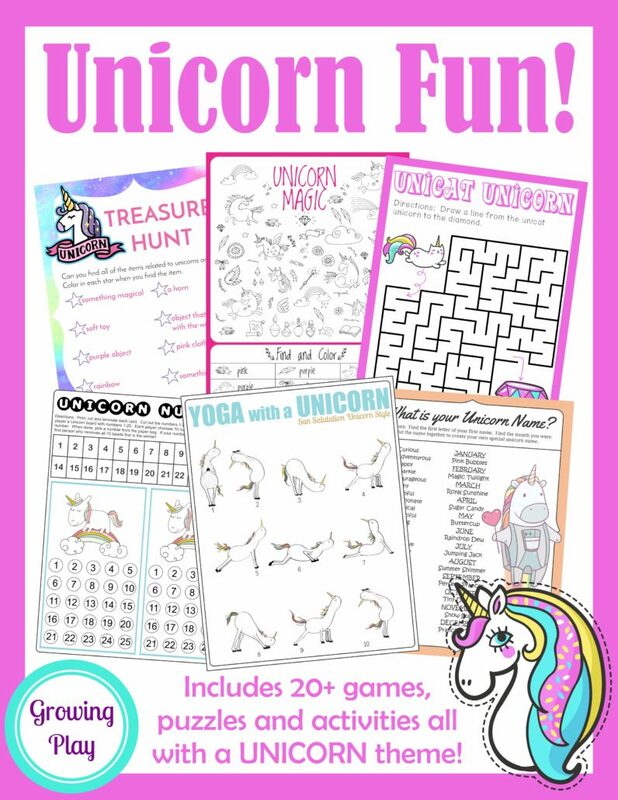 Check out the complete Unicorn Sensory Motor Packet – This digital download includes 20+ games, activities and puzzles to encourage playtime, visual perceptual skills, fine motor skills, and physical activity. FIND OUT MORE.